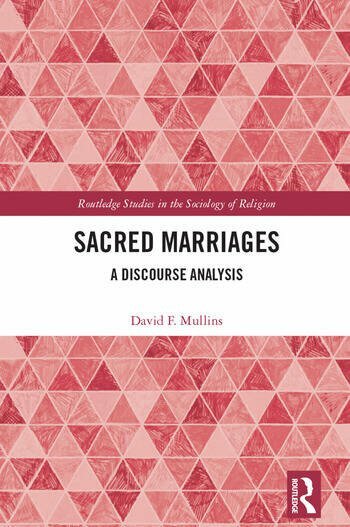 This book represents a new direction in the study of religion and marriage by using a postmodern theoretical framework focusing on gendered discourse and culture, to examine the meaning of sacred marriage within social contexts. Drawing upon data from in-depth interviews of couples in long-term, sacred marriages living in the American Midwest, together with an analysis of Christian marriage advice manuals, Sacred Marriages explores how couples use religious and nonreligious discourses and cultures to give their marriages meaning, and how those sacred meanings are used in their daily lives and the spaces that they embody. The study shows how religious and secular beliefs are combined to formulate cultural strategies for approaching the sacralization of marriage, and how religious and nonreligious discourses and cultures are ordered, depending on circumstances and social contexts. This often results in other relationships being subordinated in favour of the sacred bond believed to exist between husband and wife. The book argues that sacred marriage is a malleable concept, as people bend religious culture to form new and altered sacred marriages during emotional extremes. A thoughtful examination of long-term Christian marriages, this volume will appeal to scholars of religion and sociology with interests in marriage and the family. David F. Mullins is Professor and Director of the Sociology Program at the University of Saint Francis, USA.